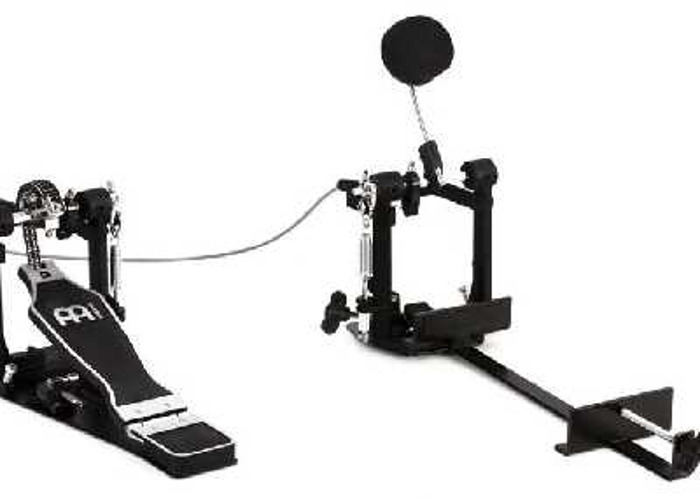 Meinl Cajon Pedal. Brackets hold the cajon in place so the beater doesn't move around out if place. Great for striking lower on the cajon for a better bass sound, also allows you to keep another hand free to play other hand percussion instruments like a shaker for example. I happen to play a washboard and other percussion while using the cajon as a bass drum.